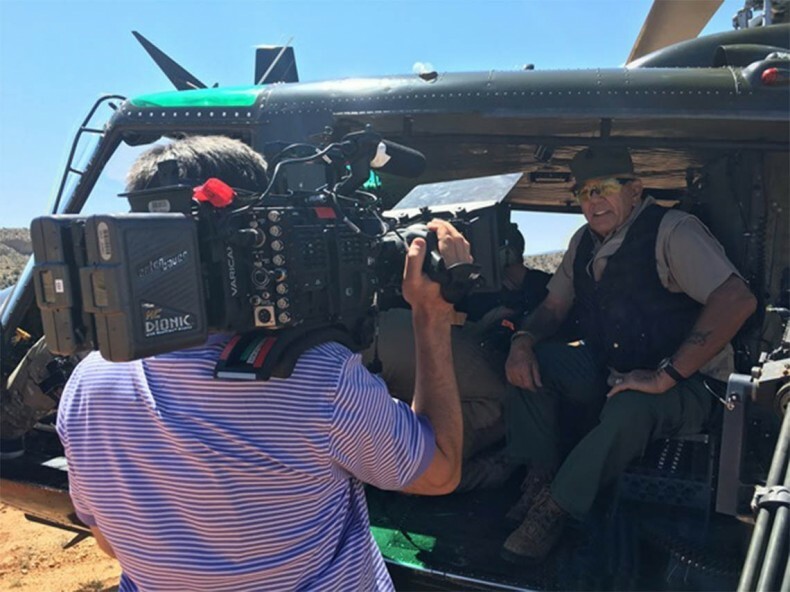 The Outdoor Channel has premiered the second season of “GunnyTime with R.Lee Ermey”, shot in 4K on the Panasonic VariCam 35. The host-driven television series focuses on vintage and exceptional weapons and related technology, and exploits the outsized personality of Ermey, former U.S. Marine Corps staff NCO and drill instructor. Director/Director of Photography Hal Long, a longtime user of Panasonic P2 cameras, had previous experience with both the Panasonic VariCam 35 and new VariCam LT 4K cinema camcorder. Long had two VariCam 35s on location in Arizona in March and April, when the majority of the material for season two’s 11 30-minute episodes was shot. The VariCam 35s were the primary cameras throughout, with Panasonic’s AG-DVX200s 4K handheld camcorders used for wider shots, and Lumix DMC-GH4s utilized for detail and downrange acquisition. Long outfitted the VariCam 35s with Fujifilm Fujinon 19-90 and 85-300 lenses. He shot in AVC-Intra 10-bit 4:2:2 4K in the main recorder and LongG 25Mb/s in the sub-recorder. The proxy files were used to ingest for editing in Avid Media Composer, and the show is finished in 4K in Blackmagic Design DaVinci Resolve.